Frozen shoulder normally presents as a sudden onset of shoulder pain followed by marked stiffness in the shoulder and significantly limited range of motion in the affected shoulder. Both passive and active range of motion of the shoulder is significantly reduced. The condition rarely attacks the same shoulder unless the shoulder joint is repeatedly injured due to physical activities, trauma or disease processes. The proposed etiology for the development of frozen shoulder, also known as adhesive capsulitis, is the contracture of the glenohumeral capsule. The involvement of the coracohumeral ligament that lies adjacent to the glenohumeral capsule and rotator cuffs is noted in most of the arthroscopic and histologic studies. This condition is usually self-limiting; however, the signs and symptoms may last from 6 months up to 2 years without treatment. It has been reported that there may be up to 41% of patients have mild to moderate residual symptoms 7 years after the initial onset and less than 10% of patients present with continuous severe symptoms with pain and functional loss. 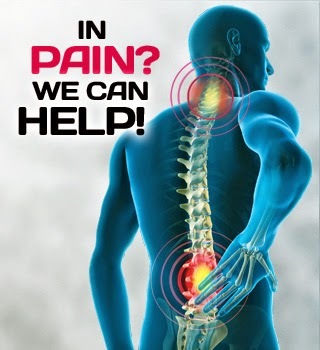 Chiropractic Specialty Center® provides the best chiropractic treatment in Malaysia. Our clinical teams are the best spine and joint team in town. Visit our center today and opt for our customized shoulder pain treatments for a speedy recovery. Frozen shoulder or adhesive capsulitis is a common condition seen n our center. We have the best technology and integrative methods to treat even the most difficult case of adhesive capsulitis or frozen shoulder without injections or surgery. The most effective treatment for frozen shoulder in Malaysia involves non-surgical interventions that address the symptoms at different stages. Health care practitioners should be able to recognize the different presentations of a frozen shoulder and should understand that this condition is a continuum rather than having well-defined stages. Physiotherapy that includes different modalities and manual therapy can help to alleviate the symptoms and improve the mobility of the shoulder joint. Chiropractic care can provide some relief to the symptoms and mobilize the shoulder and the adjacent joints. Home exercise plays a major role in restoring the range of motion of the shoulder joint.